Unless you’ve been living under a rock for the past couple of years, there’s no way you have not heard of the phenomenal rage that Bitcoins have become. Having swept the entire world off their feet, Bitcoins are currently sitting pretty on top of the list of most favorite things to invest in. Be it financial firms or finance experts, everyone is going crazy listing the many milestones the Bitcoin has managed to knock down in such a short span of time. Having made its debut in 2009 when a mysterious personality who went by the pseudonym Satoshi Nakamoto invented them, Bitcoins have come a long way. Be it steadily but surely climbing the currency charts, or gaining praises from some of the most renowned personalities of the world, Bitcoins have managed to achieve everything in style. And now that they have easily consolidated their position as one of the most powerful currencies of the world, it is now imperative that the entire world gets to reap in the benefits and bask in the success it has achieved, and that too with utmost convenience and ease. Sign up to Bitpanda here! And for that, the foremost thing the world needs is a platform that lets anyone buy, sell or transact with Bitcoins. There needs to be a platform which is not just varied in the services it offers, but also delightfully easy to use and uncomplicated for the average consumer. One of the first things people are going to look for in such a service is whether or not you need to have any professional expertise in order to start trading, which is why the simpler the interface, wider will be the audience the service will attract. This portal for Bitcoin trading must also have a stellar customer service team, along with the temperament and abilities to resolve issues at the earliest, for as with any new technology, people are sure going to have a lot of questions, and there must be someone to answer them. Furthermore, no service is complete unless they lack affordability, which is why this Bitcoin service must ensure that whatever be the services it offers, it must always remain within the confines of economically sound and affordable payment plans. If features like the ones listed above are what you are looking for, then you don’t have to look far. BitPanda is an exchange service that caters especially to Bitcoins and can serve as an efficient medium for buying, selling and transacting with Bitcoins. While it was earlier known as Coinimal, it was later changed to BitPanda and since then, the company has held dominion over Bitcoin exchanges all over the European region. Founded in 2014, the company has never really shied away from reinventing themselves and reevaluating their services from time to time, making them the top contender for the position of the most successful cryptocurrency exchange service in Europe. Now if there is one thing to particularly note about the service at BitPanda, it is that their exchange rate is marginally higher than a lot of other exchange services. However, this is by no means something to get disheartened over, for, in exchange for the slightly hiked prices, BitPanda gives you the additional feature of chargeback. The base price charged by BitPanda can actually be broken down into two smaller components, the market rate value along with a minimal surcharge. The amount that you are going to end up paying for your order largely depends on the kind of payment method you choose. To give you a brief idea, while e-wallets such as Neteller charge you a fee which might be a bit more on the expensive side, Giropay, SEPA, Sofort, and EPS will charge you a much lower and affordable fee. Additionally, apart from the approximately 2.1% premium that you’ve to shell out, you might even end up paying an additional fee depending on the payment method you have chosen. Credit cards or SOFORT transfer payments will lead to an extra fee of about 2% while customers using SKRILL will have to pay an extra 3.77% approximately. To put things into perspective, the cheapest options for buying Bitcoins or making payments on BitPanda is through Giropay or by redeeming a voucher. 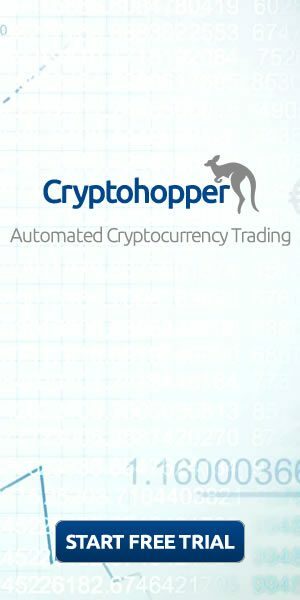 Since these are cryptocurrencies that we are dealing with here, a crucial aspect of the operation of any exchange service has to be the level of verification it seeks from its users. While some users might prefer to stay anonymous during the course of the transaction and also keep most of their financial dealings private, there will also be a distinct category of users who won’t bother much about the kind of verification they must go through to ensure that their money stays hidden behind secure firewalls and extensive secure identification levels. Obviously, any BTC exchange service will only be able to fully service one of the two categories of customers at a time. As for BitPanda, it lets the user decide what is best for them and their money. With a multiple level verification systems, the power to choose or opt for a verification level rests with the consumer. With a lower verification, you get to save yourself from revealing any personal information on the portal, while higher levels of verification bring you the power to make high valued transactions. BitPanda asks for just the most basic user verification before allowing you to make purchases. The lowest level of verification they have is simply asking for your phone number and nothing more. Once you gain access to this level of verification, you will be able to carry out transactions up to a total of 50 Euros a month and a total of 600 Euros in all. If you decide to step up a tier and move into the second level of verification, you will require a government-issued ID card. Once the required formalities are done with, your transaction limit will be further increased to 2,500 Euros on a regular basis and that too only for payments done with the credit card. For other types of payment methods, the limit goes even further up to 10,000 Euros per day. Now the next thing that really matters for such a service is the kind of user interface they have managed to equip their website with. Since crypto-currencies are a relatively new field, people are still hesitant in signing up for the service or investing any of their money in it. And if the first thing they see on the website is some complicated jargon that doesn’t make much sense to them, it is only going to aggravate their doubts about the field. For this reason, a crypto exchange service must have a user-friendly environment and a really fluid user interface that can easily be used by the simplest of minds. BitPanda happens to have just that. The site structure and design at BitPanda is simple enough for anybody to understand and most of the concepts have been thoroughly explained on the website itself. To further help their cause, BitPanda even won an award recently in the latter half of 2016 for performing outstandingly among all the latest startups and new business ventures. When talking of cryptocurrencies, there is another much talked about and crucial aspect of investments that we haven’t yet touched upon, and that is privacy. A lot of the users of crypto-coins are much interested in keeping all their transactions private, and not having to share any of their personal details on any sort of a public platform. While some exchanges do offer such service, a lot of them essentially require the submission of some personal details before a purchase can be made. Unfortunately, BitPanda happens to be from the latter category. At BitPanda, you must first submit your ID before you can proceed to buy Bitcoins or transact with them. This obviously puts a question mark on the level of privacy maintained by BitPanda, and adversely affects the number of consumers as quite a few of them are privacy enthusiasts who can’t compromise with their personal data. There’s absolutely nothing to complain about in this domain. BitPanda happens to offer one of the fastest exchange services around, such that whatever amount of Bitcoins you may have purchased are credited to your wallet almost instantly. Speed is actually one of the most desired factors for a crypto-currency transaction. For this precise reason, Bitcoin has been facing some stiff competition from a lot of other alternative crypto-currencies. Actually, one of the fundamental flaws for Bitcoin is that it can only handle a few transactions per second. In contrast, some of the other cryptocurrencies on the market, such as Altcoins can handle much more. As stated earlier, BitPanda was founded way back in October 2014. It then went by the name Coinimal and was actually one of the very first crypto-exchange services to be launched. It has vast amounts of experience, is able to effectively deal with all sorts of customer problems, and almost never fails to deliver on what is promised. To further consolidate their claim, there was an award for outstanding achievement in the field of startups which was bagged by BitPanda in October 2016. 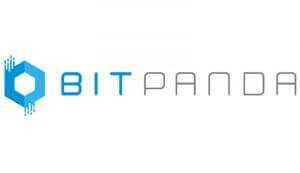 Such milestones, along with the vast amount of customer faith they have backing them up to make BitPanda one of the most reputed and bankable services around. If you choose to invest your money with them, you can be pretty sure that it is not going anywhere. BitPanda happens to be most prevalent in the countries from Europe and maintains almost an unchallenged dominion in the region. It can easily be accessed by all European countries and happens to grab more than half of the market share there. However, for a service that happens to be so much successful and praised by all customers alike, it has not somehow been able to expand a lot. Even today, BItPanda remains unsupported in the United States of America. Unless BitPanda happens to carry out some major expansion plans in the coming future, this happens to be one of the most major flaws in their system. As a crypto exchange service, there can be no questions raised on the authenticity and effectiveness of the services offered by BitPanda. It is, by all means, one of the most efficient services around. For a service that deals exclusively in Bitcoins, BitPanda is pretty fast and takes no more than a couple of days to handle most transactions. It is amazingly well experienced and happens to hold a good position in the market today, along with being backed by a rock-solid reputation. It gives you highly reasonable and affordable payment plans if you plan to buy your Bitcoins with a credit or a debit card. Although they do have a slightly elevated exchange rate, the unique feature of chargeback which they happen to provide certainly more than makes up or it. And what good can a service do if it isn’t varied in the number of options it gives its customers? Fortunately, BitPanda doesn’t disappoint in this regard as it actually offers a pretty exhaustive list of payment options and payment gateways, all of which, although with different and varying rates of exchange, are equally efficient and cost-effective in their service. As an added side note though, BitPanda maintains a certain non-disclosure in the sense they never really display openly to their customers the amount of fee they end up charging, but simply put forth the total price in euros which the customer needs to pay. As with any other service, BitPanda is not perfect and happens to need some modifications and changes in its design and functionality before it can truly be called a perfect and non-fallible service. 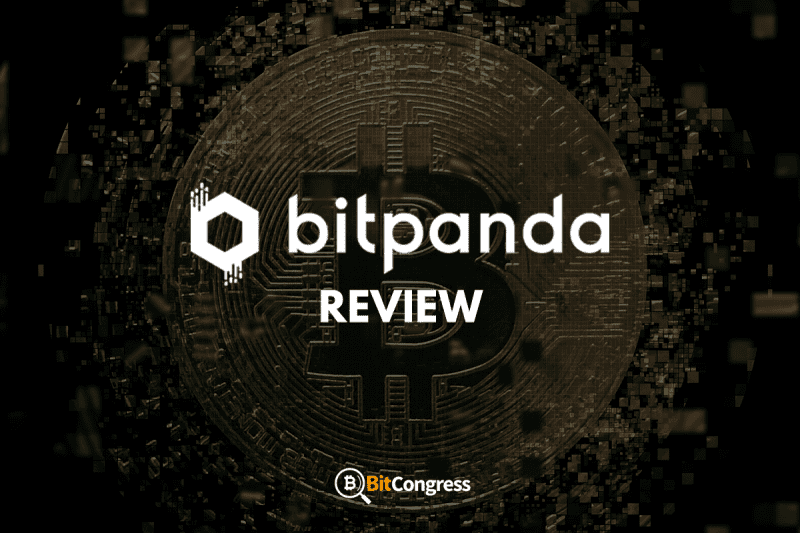 However, even in its present capacity, BitPanda remains one of the best and most bankable services around which truly deserves your trust and won’t fail you if you happen to invest your money in it. itBit Review - A Legit Crypto Exchange?